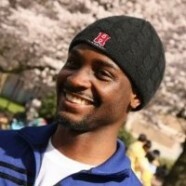 Ikechukwu is a Post Doctoral Associate at the University of Washington. He contributes to the NARAproject by providing economic analyses using Aspen Modeling XXXXX. Ikechukwu received a master’s degree and doctorate in chemical engineering at the University of Washington. His doctoral thesis is titled “Tailoring Polymer Micro-extraction Phases to Enhance the Sensitivity and Selectivity of Raman Spectroscopy”. As an undergraduate student, he majored in chemistry at Haverford College.